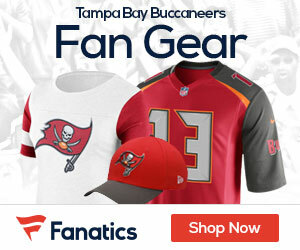 Jason La Canfora of NFL Network reports the Buccaneers aren’t interested in trading backup QB Josh Johnson, general manager Mark Dominik said Tuesday. Johnson has been considered an intriguing option by other teams and is coming off another strong preseason showing. He would be an upgrade for some teams as a No. 2 QB, and while teams make calls on Johnson, Dominik said he has no plans to trade him. “I’m not calling clubs, I’ll tell you that,” he said. Dominik said he would like to sign Johnson, a potential free agent a year from now, but understands his desire to push for a starting job elsewhere. “That’s the beauty of free agency,” Dominik said.